Bracelet Precious Metal & Length Gold 5.5" Gold 6.0" Gold 6.5" Gold 7.0" Gold 7.5" Gold 8.0" Silver 5.5" Silver 6.0" Silver 6.5" Silver 7.0" Silver 7.5" Silver 8.0" Rose Gold 5.5" Rose Gold 6.0" Rose Gold 6.5" Rose Gold 7.0" Rose Gold 7.5" Rose Gold 8.0"
Handmade Birthstone Bracelet and Earring Set. Two items. 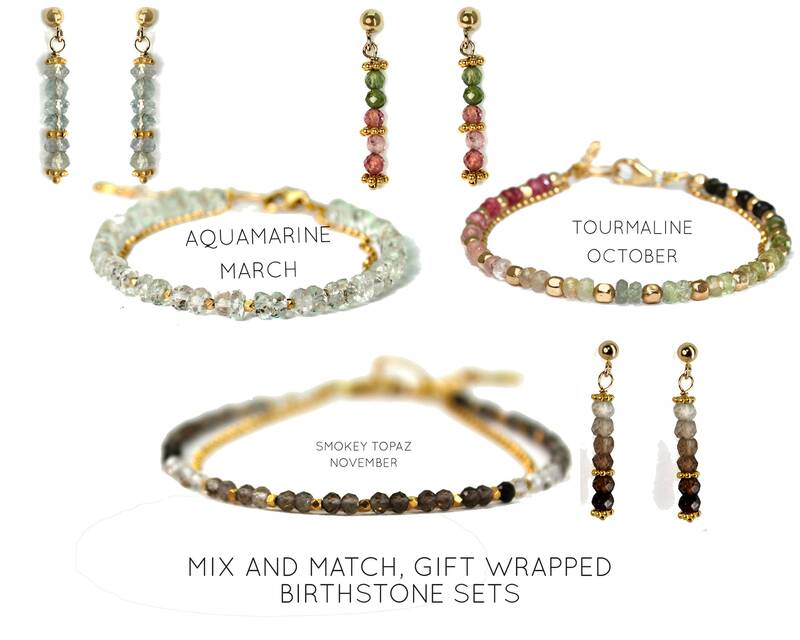 Birthstone Jewelry Giftwrapped. Adorable bracelet plus a pair of little vertical bar earrings. You can mix and match or have both the same. Handmade with love. 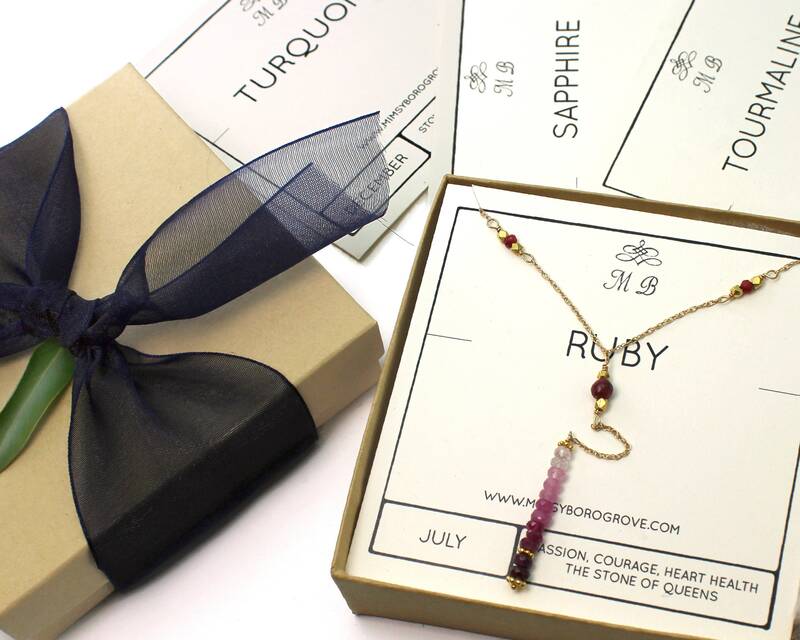 The set comes gift wrapped with the special properties of the stone(s) on a card. Bracelet: 7" pictured on model. 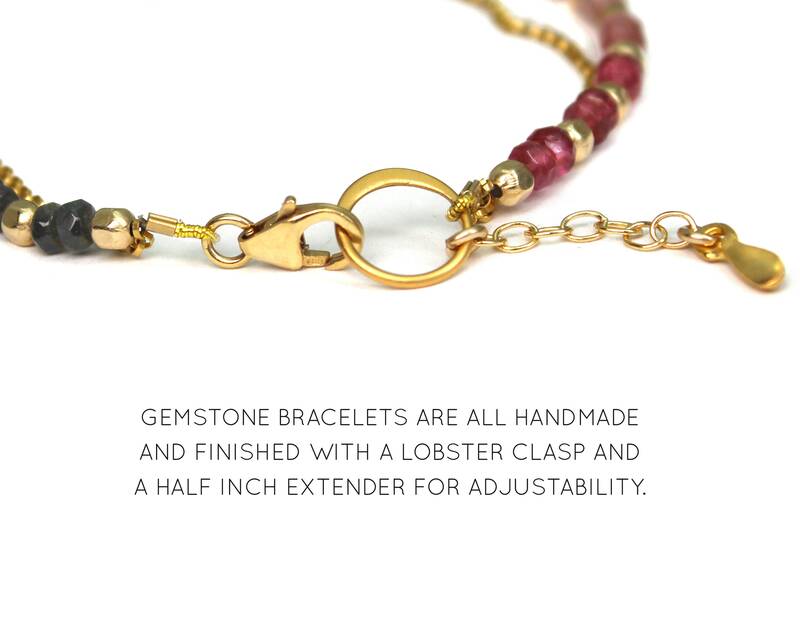 Our fully adjustable clasp bracelets include a 0.5" extender. 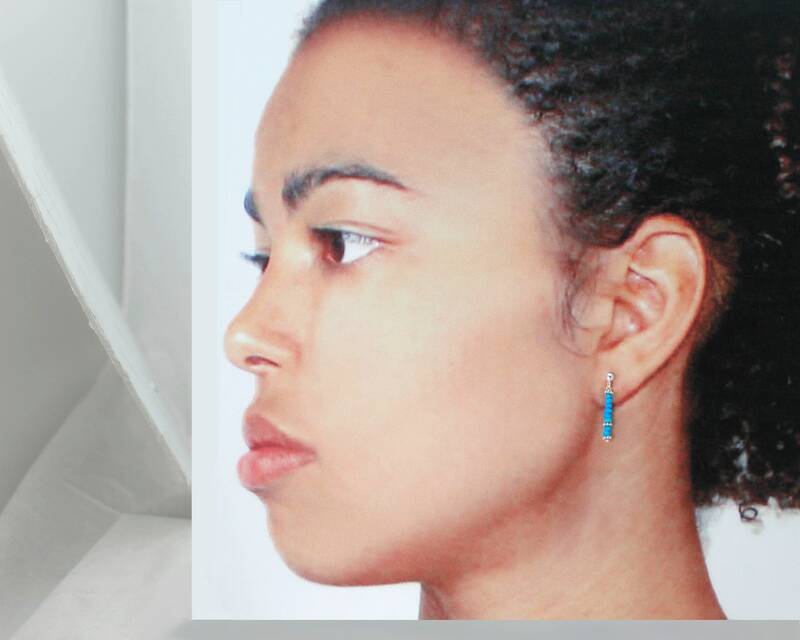 Earrings: 3/4" pictured on model. 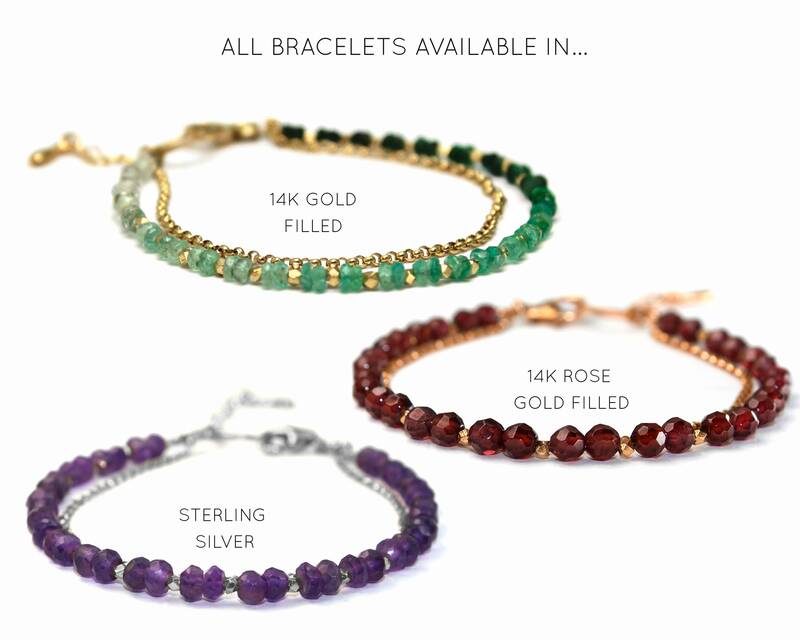 1 For the bracelet, pick your precious metal and ideal length from the first drop down menu. See key below. 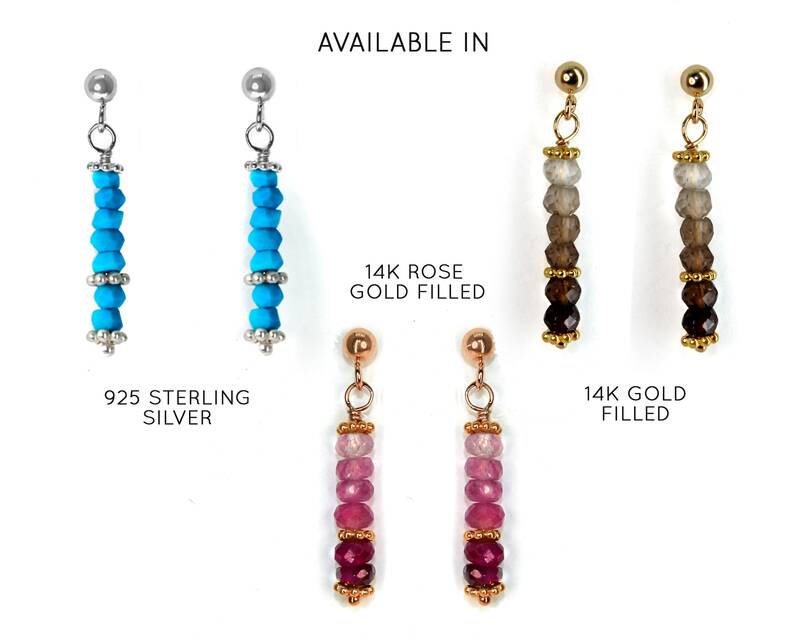 2 For the earrings, pick your precious metal from the second drop down menu.